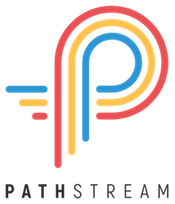 As Client Success & Operations Manager you will work cross-functionally to serve as a liaison between Pathstream and our higher education partners. You will lead the implementation of Pathstream’s curriculum across multiple college and university partners- seeing it through from initial exploration to full implementation and support. You will work closely with Project Managers and the Vice President of Partner Innovation and Success to ensure students, faculty, and leaders at each institution are delighted by their Pathstream experience. To be successful in this role, you must be able to manage multiple clients, have strong attention to detail, understand the nuanced landscape of higher education, and have a passion for innovation and bridging the digital skills gap. This role requires strategic thinking and problem solving, and strong communication skills. You’re deeply passionate about increasing equity and access in education and/or workforce development / training. You’re a top one-percenter on ambition, hard work and hustle. You’re an excellent communicator and have the ability to express complex topics clearly and easily. You have a strong command of the English language. You’re a fast learner: you pick up on new topics quickly, enabling you to speak the language of our tech partners about their products and users. You thrive in fast changing, high growth environments with changing expectations and responsibilities. You’re a great team member who is kind, collaborative, and supportive. You’re mission oriented; you’re fully motivated to create a positive impact in the world.